Pajamas are everywhere, ladies. 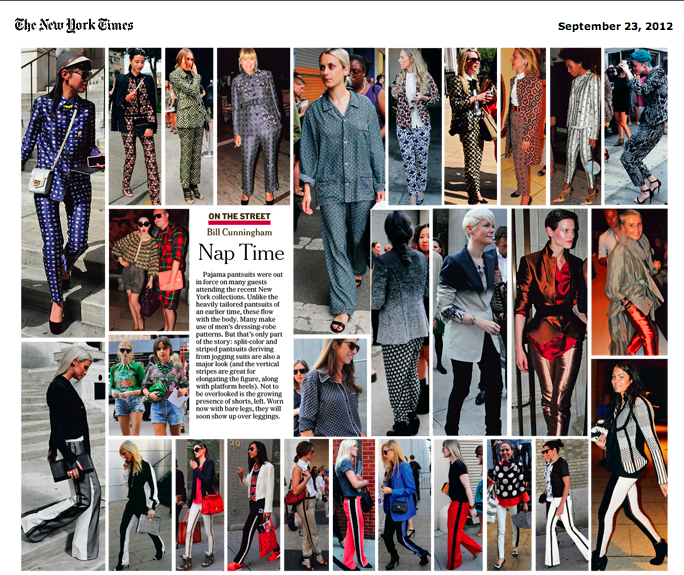 And guess where the pajama pantsuit popped up in multiples? At the New York collections, that’s where. Maybe inspired by last year’s LV or this fall’s Prada fulard print, one thing is for sure- when a pajama pantsuit is spotted on Kate Lanphear, it has simply arrived. And if you, dear reader, need a new pair of pjs to remain avec fashion, stay tuned for details of our exclusive online sales coming soon!